The sun (unseen in the cloud filled sky) is in the top left, casting weak shadows to the right. 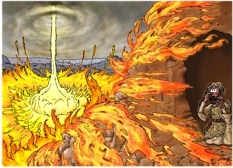 Elijah the prophet, on his knees, looking terrified as the fire storm sweeps over the landscape. I really enjoy drawing fire, and this scene was no exception! 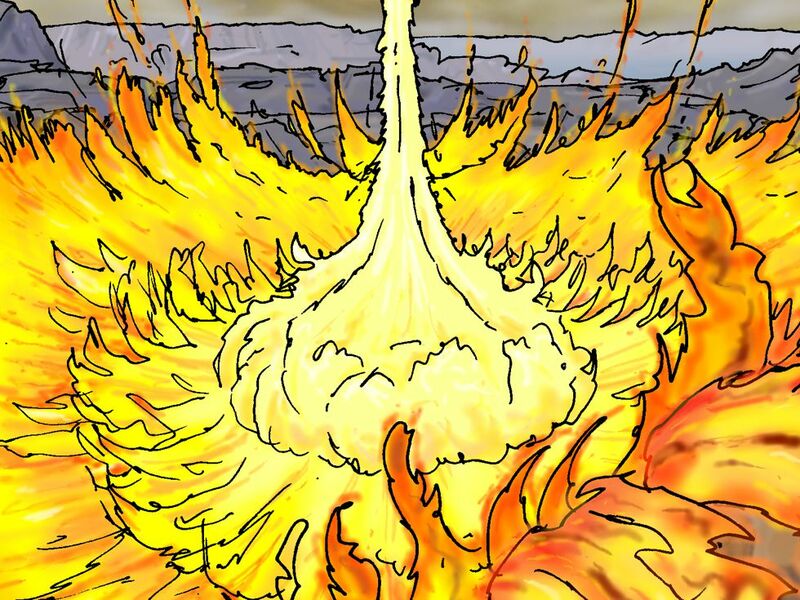 It was interesting to draw the white hot flames coming down from heaven, and blasting out over the landscape in a fire ball. I was able to add larger flames, with more detail, in the foreground. 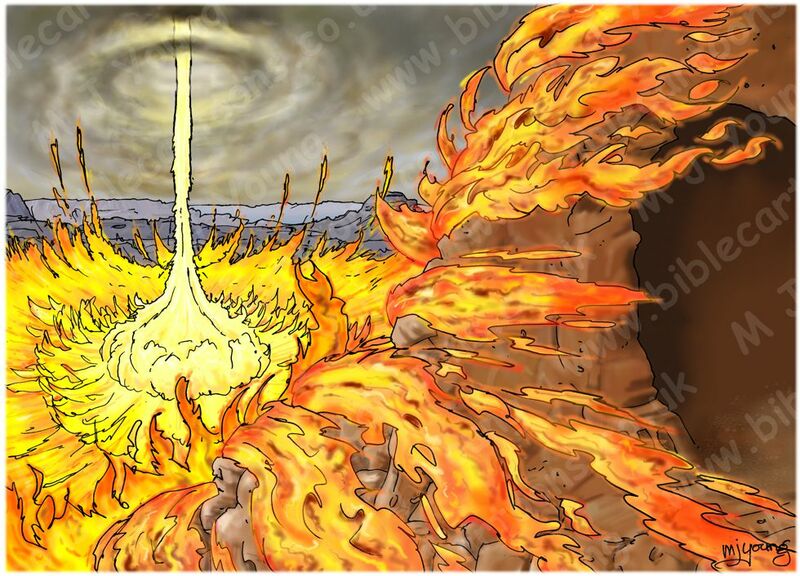 Those flames are sweeping over the rocks near the cave in which Elijah is kneeling. By keeping the background mountains and foreground rocks similar in all three scenes (see the 2 preceding cartoons ”Great wind” and “Earthquake” for comparison) I have been able to make these 3 pictures form a great, cohesive impression of the awesome power of God.